“I fully endorse Joanne LaPorta of Accent on Hearing. I was initially apprehensive about hearing aids. My family had said so many times – “You keep saying “what” all the time.” From my first visit and every subsequent visit, I feel like I am a special client. Joanne is extremely professional, personal, and a pleasure to be with. 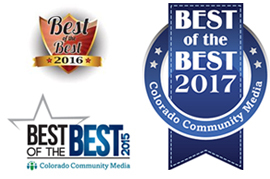 “If you need hearing aids, I highly recommend Accent on Hearing in Castle Rock, CO. They are an incredibly knowledgeable and professional staff who take whatever amount of time necessary to help you determine the appropriate hearing aids that will work for you. I never felt like I was getting a sales pitch or pushed towards a particular product. Joanne listened and kept asking questions to get the correct end result.